For the ruling classes, especially the kings, a great deal is known because of the record left in Maya art and hieroglyphs. We know the holy lords lived polygamous lives surrounded by wives and courtiers in royal palaces. They sat on thrones covered with jaguar pelts, commanding their subjects, dispensing justice, greeting emissaries, royal allies, and foreign merchants. In scenes chiseled into limestone and standstone, on painted murals and polychrome pottery, they were finely dyed textiles with geometric designs and flamboyant headdresses heavy with the long iridescent feathers of the quetzal and other tropical birds. They drink frothy brew made from the cacao bean (and gave the world chocolate). They prized exotic goods brought from the coasts and the mountains in trade or tribute: marine shells, stingray spines, coral, finely cut chert, obsidian, pyrite, polished into mosaic scepters and mirrors—and, most of all, jade …. Control and display of these prized goods reinforced their status and power. This is a description of Classic era kingship (ca. 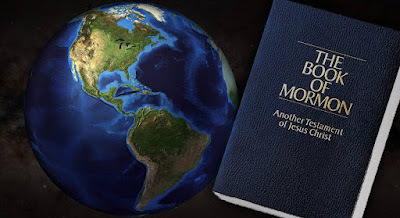 250–900 AD), but there is plenty of evidence that, at least in certain regions—including the Valley of Guatemala, believed by several Book of Mormon scholars to be the land of (Lehi-)Nephi—the full institution of kingship was well-established with all its excesses before 100 BC. Compare this with Mormon’s description of Noah, the wicked king in the land of Lehi-Nephi, ca. 150 BC. Forgive the massive block quotes, but rather than summarize and analyze myself, I figure I would simply provide the quotes and leave it to readers to make comparisons for themselves. While Mormon clearly saw Noah’s behaviors and excesses as moral failings and judged him a wicked king, Noah was probably a fairly typical king for his time. What’s more, Mosiah could likely see the writing on the wall, as it were, when he chose to abolish the institution of kingship. Noah was merely a representative example of a growing trend in kingship all around, and they were only in the early stages of the institution. As Carlson pointed out, “The building projects increased in size, scope, and beauty throughout the Classic era and each passing century required more and more investment of resources and human labor” (p. 383). With the recently translated Jaredite record giving Mosiah a clear view of where all this was headed, he sought to nip it in the bud by abolishing kingship altogether. Unfortunately, the pressures for kingship never really went away; various factions pressured for it throughout the first century BC and into the first century AD, meanwhile the chief judgeship became more or less indistinguishable from kingship in many important respects.